For LGBT people in New York, your estate planning options are far different today than they were even a few years ago. The legal landscape in this area has shifted so significantly that many LGBT individuals and couples are not sure exactly what is available to them. Like every other capable adult, it’s vital that LGBT people in New York create an estate plan as soon as possible. Even though your ability to create a comprehensive estate plan is far greater than it once was, the decision to begin the planning process is still something that is entirely up to you to make. Any estate plan a person creates, regardless of their individual circumstances, has to address some important key topics. While your estate planning attorney will walk you through the process and tell you what these topics are, here are several with which you should be familiar. Incapacity planning. Should you one day become incapacitated, you will need to have an estate plan in place that addresses this possibility. Your plan will use various tools to not only make sure that your wishes are followed in the event of your incapacitation, but to also allow you to appoint representatives who will manage your responsibilities and make decisions on your behalf. If you fail to make an estate plan, or fail to make one that meets the requirements imposed under New York law, you will likely leave it up to a court to determine what is in your best interests. Inheritance planning. Another essential part of every estate plan is determining what you want to happen to your property after you die. Making decisions about inheritance is something that everyone has the right to do, but it is not something you can do anyway you choose. The legal reality is that you have to make your inheritance decisions in ways that are recognized by New York law. Whether you create a last will and testament, incorporate a revocable living trust into your plans, or use other inheritance planning devices, you must be sure that your choices are protected and will be recognized when the time comes. LGBT individuals and couples alive today have many, if not all, of the same estate planning rights and abilities as everyone else. Though the law is now recognizing more and more LGBT rights, that doesn’t automatically mean that LGBT people in New York can rest comfortably, especially when it comes to estate planning. 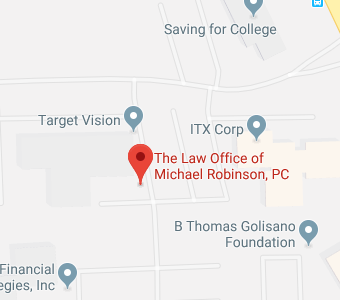 If you want to protect your rights and make decisions about your estate, you should reach out to the Law Offices of Michael Robinson as soon as possible. Once you schedule an appointment with us, we can sit down with you, discuss your concerns, and help you craft a plan that meets all of your needs.